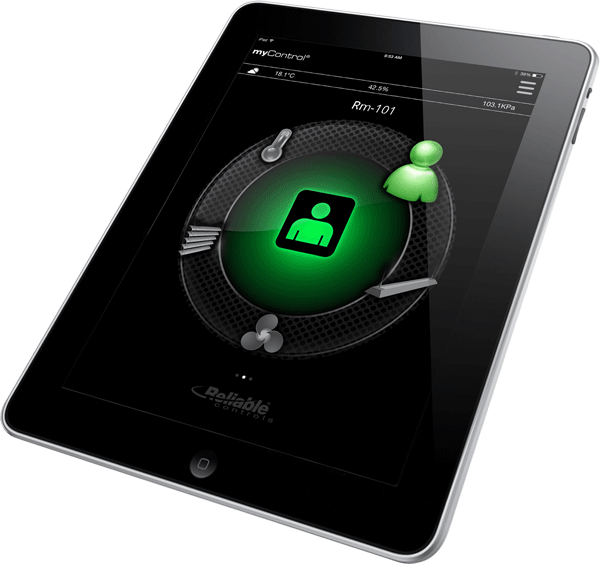 The myControl App provides a mobile interface to your control system, allowing you to view and modify settings for temperature, lighting, ventilation, occupancy and more. STATview provides a familiar, programmable thermostat interface, allowing users to monitor and control the operation of unitary HVAC equipment. LISTview provides a flexible, custom list of system points that can be quickly viewed and adjusted.